State Prosecutor preparing plea bargain arrangement with MK Basel Ghattas. The State Prosecutor has initiated a plea bargain agreement with MK Basel Ghattas according to which he will serve a 3 year jail term according to a Channel 10 report Monday. According to the report, the two sides are still in disagreement over whether the conviction will include a clause referring to an act of terror. Ghattas himself will claim that he does not need to serve a prison sentence even if a plea bargain is reached. Ghattas was photographed transferring cellphones to terrorists jailed in the Ketziot prison and is also accused of transferring messages to terrorists in Israeli jails. The Attorney-General recently conducted a hearing with Ghattas and then reportedly offered him the prosecution's plea bargain agreement. 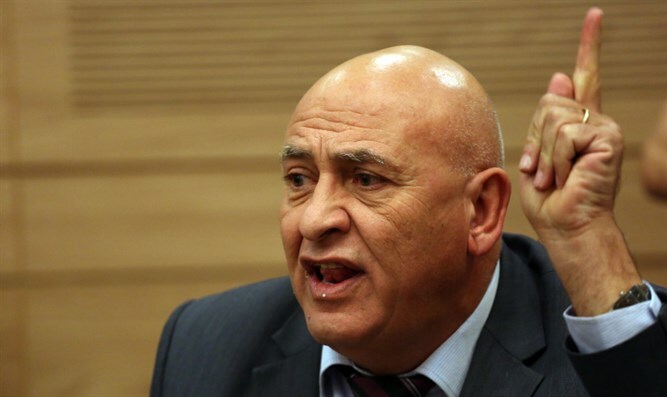 Despite the fact that Ghattas is not present in the Knesset, he still refuses to resign his post and the Knesset has initiated impeachment proceedings against him.